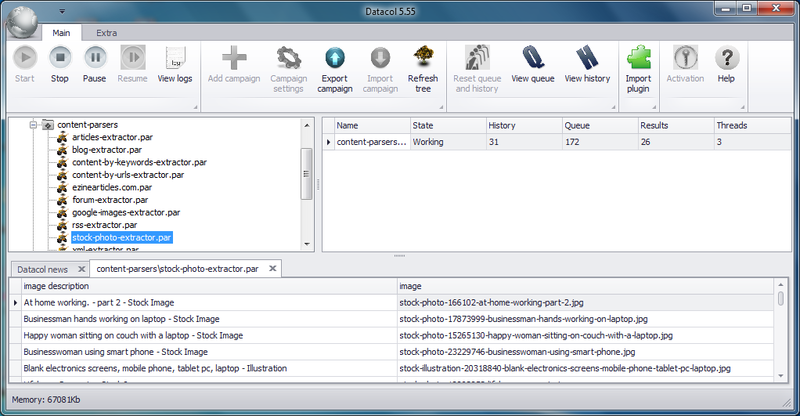 Stock photo extractor is Datacol-based module, which implements image scraping from stock photo website. In our example downloaded files are saved to Pictures folder on the local computer. Extra information (image filename and description) is saved to xlsx file. You can also adjust Datacol settings to upload images to FTP and publish content to popular CMS like WordPress, Joomla, DLE. You can test stock photo extractor before purchasing it. The test will take less than 5 minutes! 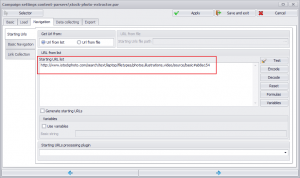 You can readjust stock photo extractor (on your own or request our paid help). 2. 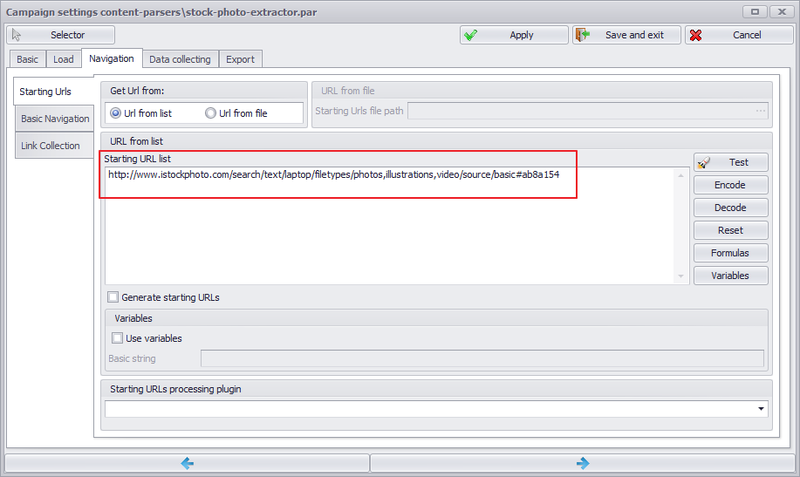 Choose content-parsers/stock-photo-extractor.par in the campaign tree and click Start button to launch stock photo extractor campaign. 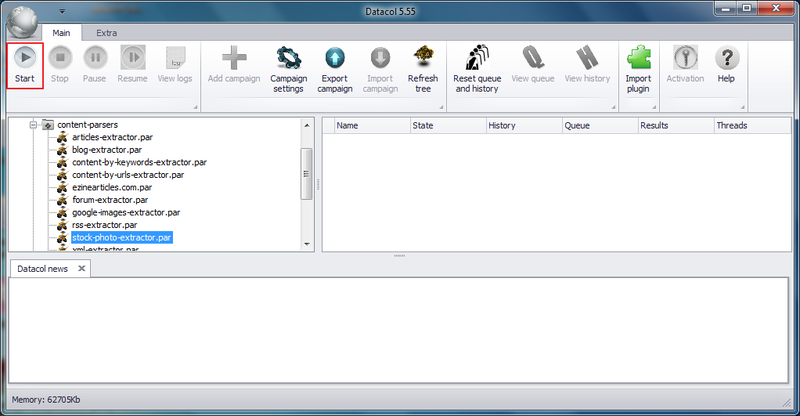 Before launching content-parsers/stock-photo-extractor.par you can adjust the Input data. Select the campaign in the campaign tree for this purpose. In this way you can setup links to the stock website search results you need to extract images from. Please contact us if the stock photo extractor will not collect data after you have made changes to the Starting URL list. 4. After campaign is finished/stopped you can find stock-photo-extractor.xlsx file in Documents folder. If you have any questions, related to stock photo extractor, please ask via the contact form.